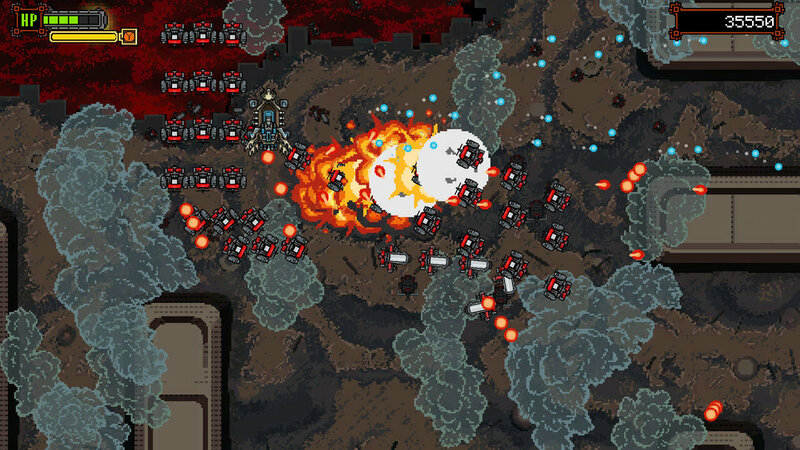 Scrottwaffe is a fast paced Shoot 'em Up game spanning over 3 levels. 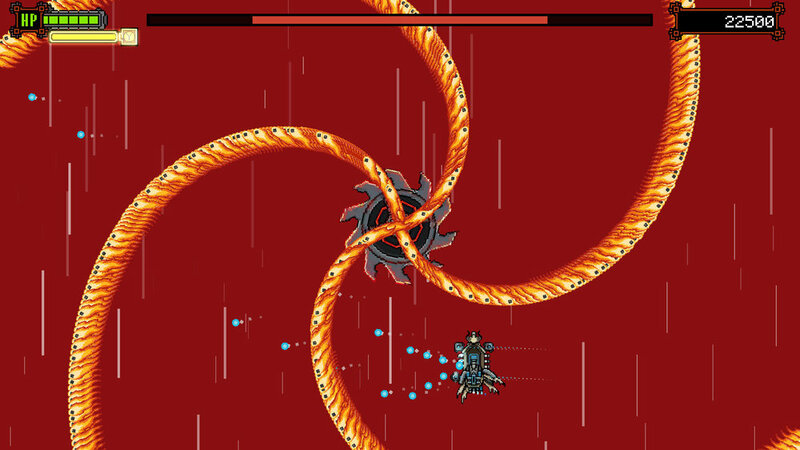 The player controls a flying ship with side-mounted gun as it's main armament. As the game progresses the player will encounter 6 bosses, each offering a different challenge. 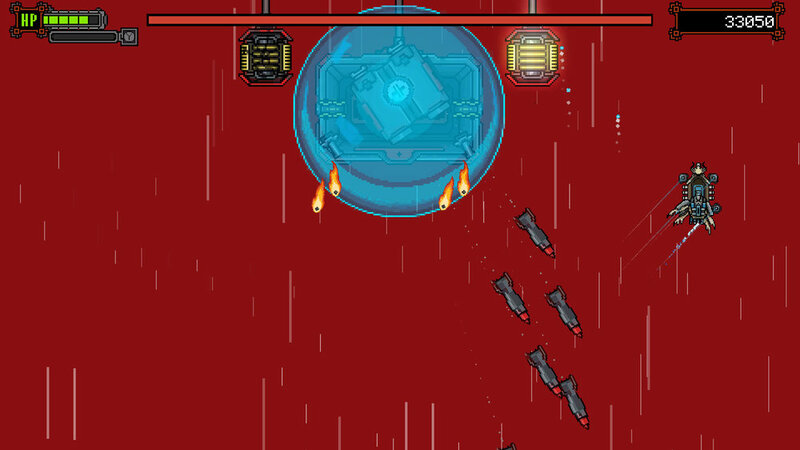 After each boss fight the player must choose to upgrade the side or front cannon. We worked with the graphics team to set a length for each level using a grid to get a sense of the length of each level. 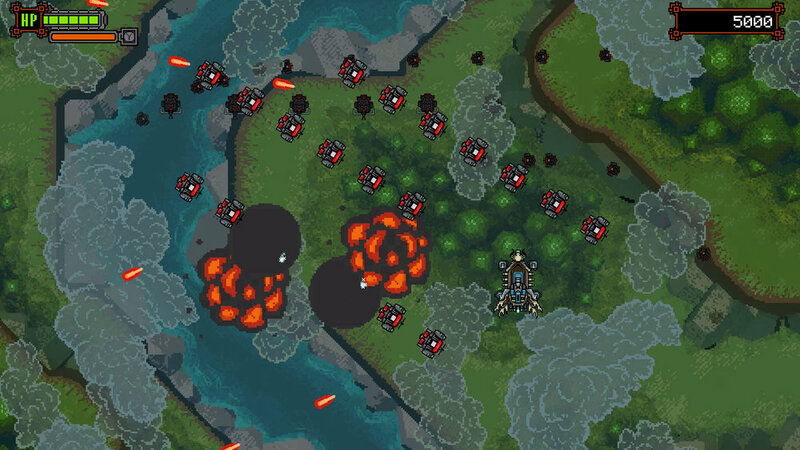 Since enemies were the main component of our designs we would need a way to quickly create a multitude of enemy movement patterns. While the pre-production work on the level progressed the programmers were working on editors. I collaborated close with involved programmer in order to give specifications and feedback. Carl Hiselius developed a pattern editor, in witch I could pre-define the movement of enemies. Me and my design partner used this tool to create a multitude of different enemy behaviors from our pre-production documents. 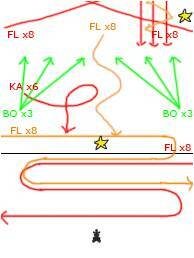 with the variety of patterns we could control the movement of each enemy that spawned. Samuel Andreasen was the main creator of a level editor. Developed solely for this game the editor was tailor made and we could use this to place all the aspects of the game enabling quick iteration of the levels. The levels relied heavily on numerous small iterations and the ability to run the game straight from editor. Since this would greatly shorten our iteration times it was one of the first things we requested. With the editors in place the levels were soon in a playable state. Once that was done I spent a long time iterating movement, position and frequency of the spawns. 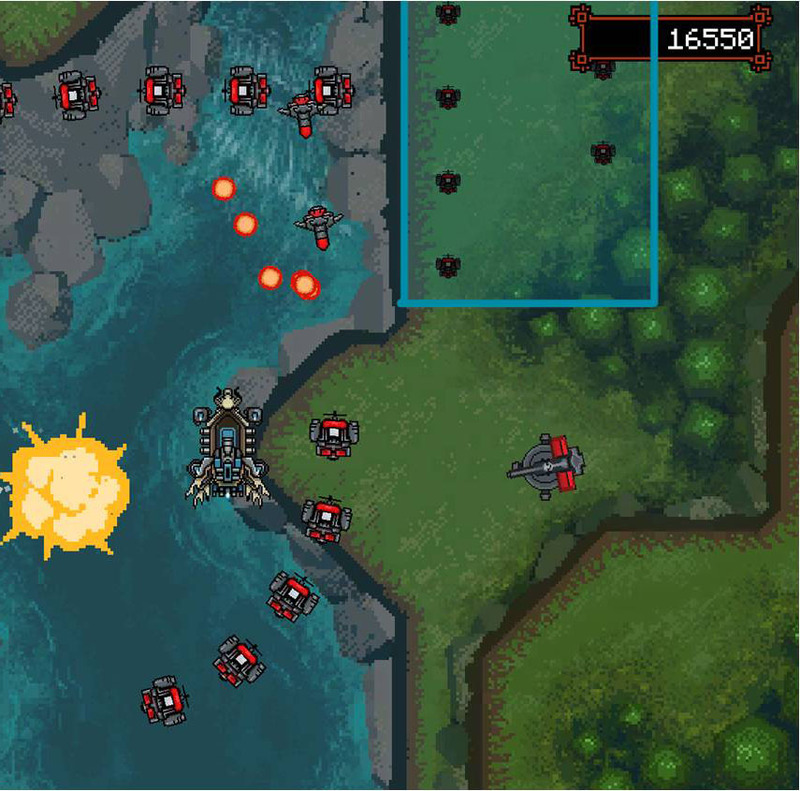 The design was aimed to get the player to use the full extent of the screen rather than just a portion. 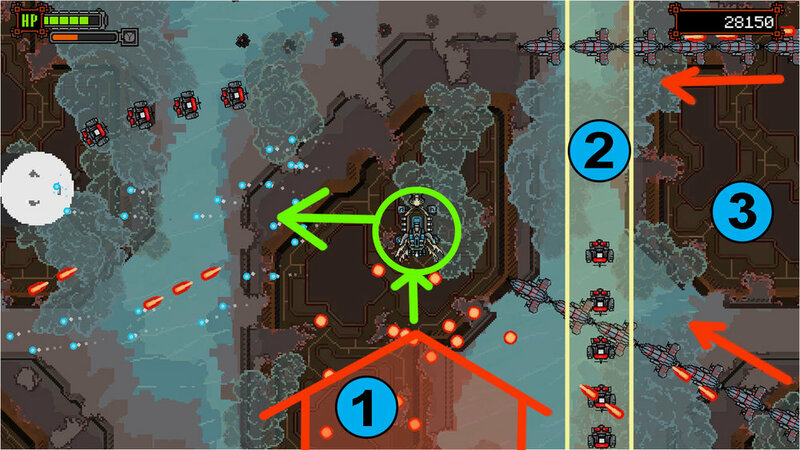 In order to meet the goal I used position of the spawns to create threat directions and tried to seal of portions of the map making the player move in a desired direction. 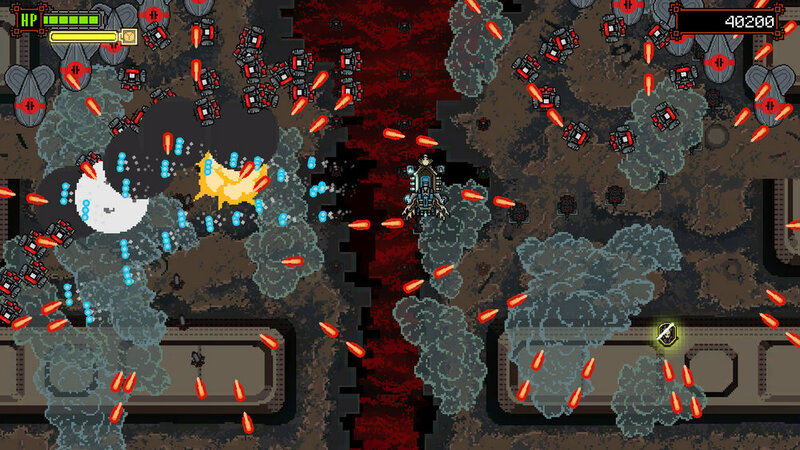 Foreshadow in a Shoot 'em Up? During the playtesting I felt like the time players had to react to spawns was causing problems. Enemies were were coming from all directions and sometimes jumping out from a side of the screen that felt safe killing the player. Quite late in the production there were not time at hand to device a elaborate solution or to reshape the levels. But the lack of foreshadow needed to be solved. 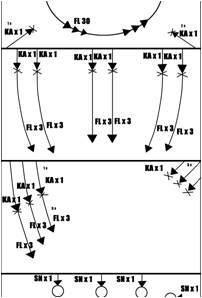 Looking at how Ikaruga solved the foreshadow I pitched an idea to the programmers if we could invert the patterns in the pattern editor creating a foreshadow by reusing existing code and tools. After checking with Carl Hiselius the patterns all spawns were duplicated and inverted. 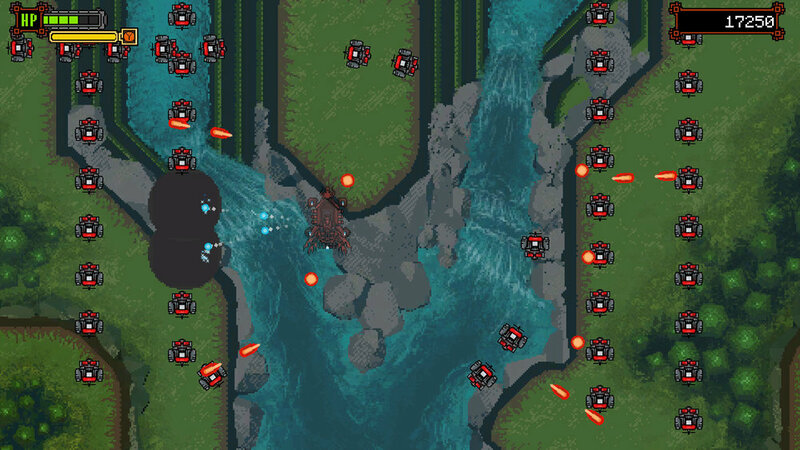 Drawing this pattern lower than the play area created a way showing the player where there enemies would appear with smaller darker sprites. Shrottwaffe was a team effort. The interdisciplinary cooperation between the teams was, in my opinion, one of the reasons why Scrottwaffe became the highest rated game at The Game Assembly 2016. Personally I had a blast making the game. I learned that iterating on the levels pays off but also that you need to be ready to kill those darlings if the game benefit from it.